I accept the terms of the foregoing statement and wish to proceed in sending an email to Sidney C. Summey. I accept the terms of the foregoing statement and wish to proceed in sending an email to Letisha Reno. With over 40 years experience in the practice of Probate Law, Mr. Summey is recognized in the probate and civil courts in Alabama as a leader in the field of probate litigation, wills, trusts and estates, guardianships, and conservatorships. In 2009, he was designated as a National Certified Guardian. His practice involves assisting litigators in settling cases involving decedent’s estates and incapacitated persons, the representation of conservators of the estates of minors and disabled persons who have received personal injury awards, structured settlements, special needs trusts, and elder law. He also handles litigation related to all areas of probate law including will contests and trust and estate matters. Mr. Summey is a frequent lecturer on basic and advanced probate, probate for litigators, special needs trusts, Medicaid issues, and elder law. He served on the faculty of The Birmingham School of Law where he taught Trusts and Elder Law. Mr. Summey also served on the adjunct faculty of the Cumberland School of Law of Samford University for five years, teaching courses in residential and commercial real estate transactions. 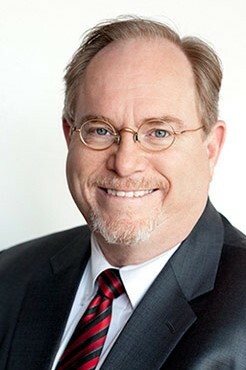 He is the author of “Handling Lawsuits of Minors, Decedents and the Disabled,” which was published in the ATLA Journal. In February of 2008, Mr. Summey was appointed to serve as the Jefferson County Conservator and Guardian. In this position, Mr. Summey serves as a Conservator, Guardian, Trustee or Fiduciary appointed by the Probate Court, the Circuit Court, the Department of Veterans’ Affairs, or the Social Security Administration. He is responsible for marshaling assets, litigating real and personal property ownership issues, managing estate funds, overseeing nursing home placement, Medicaid eligibility, and overseeing the payment of the wards’ various day-to-day needs and expenses. In 1983, Mr. Summey founded the predecessor to the law firm of Summey & Hennecy, LLC, a probate practice firm that merged with White Arnold & Dowd P.C. in 2008. "Litigating the Case in Probate Court," Birmingham Bar Association, March 18, 2016. "Filing Suit Against A Deceased Defendant," March 2016. “Beware of the Pitfalls of Settling Tort Claims on Behalf of Minors,” Alabama Association for Justice Journal, Vol. 35, No.1, Fall 2015. “Who is Birmingham Probate Attorney Sidney Summey?” WBRC Fox 6 Law Call Segment, July 2013. “Recent Developments in Probate Law, Wrongful Death Cases,” Alabama State Bar, Elder Law Section Meeting, October 2012. “Pro Ami Settlements, Conservatorships and Guardianships in Alabama,” Alabama Association for Justice, 2012. “Litigation and Probate,” Alabama State Bar, Elder Law Section, June 2011. “Handling Lawsuits for Minors, Decedents and the Disabled,” Alabama Association of Trial Lawyers Journal, Winter 2000. "Ethical Considerations in Estate Planning," Alabama Probate and Estate Planning Conference, Hoover, May 9, 2019. "Conservators and Guardians," Probate Practice CLE, Cumberland School of Law, April 19, 2019. "Estates Part II," Probate Judges and Clerks Training Conference, Marriott Conference Center, Prattville, March 5, 2019. “Estate Planning and Administration: The Complete Guide,” National Business Institute CLE, Birmingham, August 20-21, 2018. “Ethical Considerations in Estate Planning,” 8th Annual Probate and Estate Planning Conference, Embassy Suites Birmingham-Hoover, May 10, 2018. “Conservatorships, Medicaid and AFTs,” Alabama State Bar Elder Law Section Meeting, Cumberland School of Law, April 13, 2018. "Pro Ami Settlements Update," Birmingham Bar Center, February 23, 2018. “Contested Guardianships and Conservatorships,” Adult Guardianships and Conservatorships Seminar, University of Alabama School of Law, September 29, 2017. “Estate Planning from A to Z,” National Business Institute CLE, SpringHill Suites, September 27, 2017. “Probate Litigation - The Nuts and Bolts of What You Need To Do,” Birmingham Bar Center, September 22, 2017. "Pro Ami Settlements - Recent Developments and Traps to Avoid,” Birmingham Bar Center, August 25, 2017. "Guardianships and Conservatorships," Alabama Probate and Estate Conference, Hilton Perimeter Park South, Birmingham, May 11, 2017. "Handling Lawsuits for Minors and Incompetents and Pro Ami Settlements," Calhoun/Cleburne County Bar Association, April 20, 2017. "Final Accounting and Closing the Estate," “The Probate Process from Start to Finish” National Business Institute CLE, SpringHill Suites, Birmingham, October 19, 2016. "How to Advise a Conservator," Adult Guardianships and Conservatorships Seminar, University of Alabama School of Law, September 30, 2016. "Removal from Probate Court to Circuit Court," Probate Judges' Conference, University of Alabama School of Law, September 15, 2016. “Common Issues in Litigation and Probate,” 2016 Alabama Probate and Estate Planning Conference, May 19, 2016. "Planning Ahead Seminar," The Church at Cahaba Bend, May 7, 2016. The Shocco Springs Mental Health Conference, Pell City, April 19, 2016. "A Primer on Procedure for Probate Lawyers," Birmingham Bar Center, March 18, 2016. "Ethics Issues: The Changing Duty of Confidentiality," 2016 Elder Law Seminar, February 26, 2016. “Common Issues To Be Prepared For In Litigation And Probate,” "Estate Administration Procedures: Why Each Step Is Important" presented by National Business Institute, December 15, 2015. “Elder Abuse, Neglect And Exploitation,” Alabama Elder Law 2015, December 11, 2015. "Managing the Inventory," Probate & Estate Planning Conference for Alabama Attorneys presented by Alabama Law Weekly, May 15, 2015. "Handling Funds for Children," Alabama Probate Judges' Conference, Alabama Southern Community College, Monroeville, Alabama, May 14, 2015. "What Do I Do Now That I've Settled: Special Needs Trusts," Birmingham Bar Center, April 17, 2015. "Applying for Medicaid," "Protecting Assets While Qualifying for Medicaid" seminar, March 24, 2015. “Managing the Inventory” and “Litigation of the Case in Probate Court,” "The Probate Process from Start to Finish" seminar, December 17, 2014.